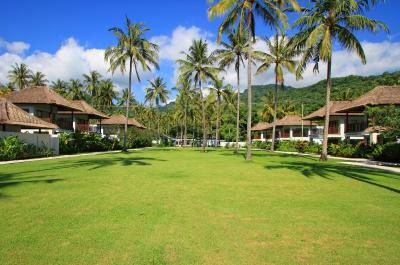 Lock in a great price for Living Asia Resort and Spa - rated 9.1 by recent guests. 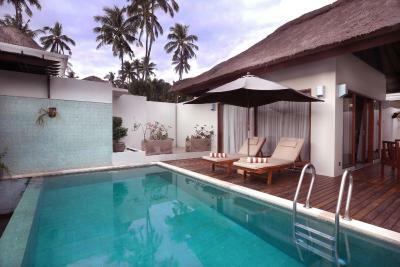 Nice rooms, friendly staff, beautiful setting in the green, nice pool, free coffe, tea and snacks in the afternoon. Everything. Very friendly and proactive staf. 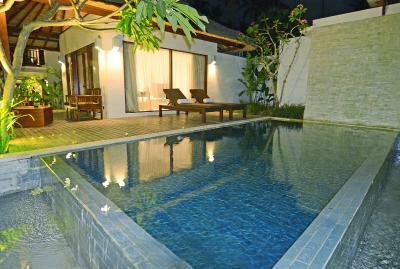 Beautiful gardens and houses, Great swimmingpool and spa, very quiet location, peaceful. 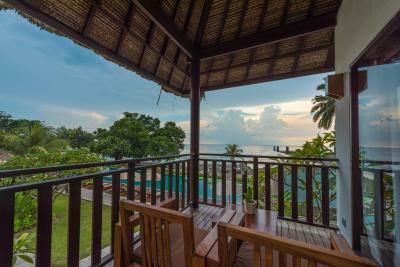 Beach on the doorstep with oceanview. Food in restaurant is very good. Amazing place and staff. I forgot my Kindle and didn't realize, they called my driver in the way to the airport and we waited until a guy in motorbike brought it. The property was beautiful. The food was great, staff was friendly. Really enjoyed lounging at night in their bar couches at night after dinner. 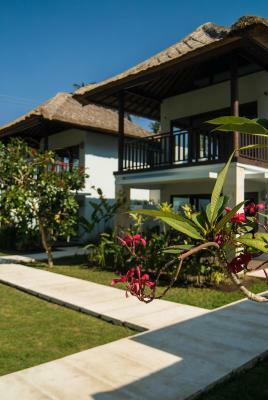 In our overall stay of 2 weeks at Indonesia, we enjoyed this property the most and it was the best value for money. 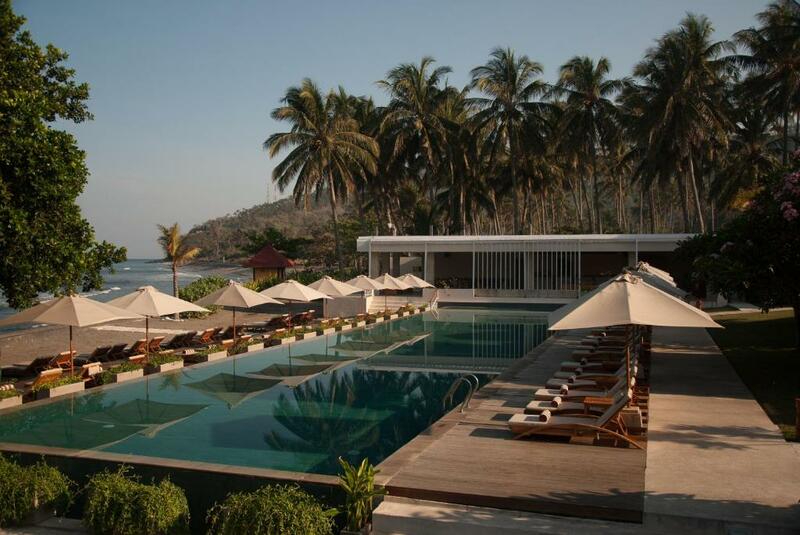 This resort was so clean and quiet. 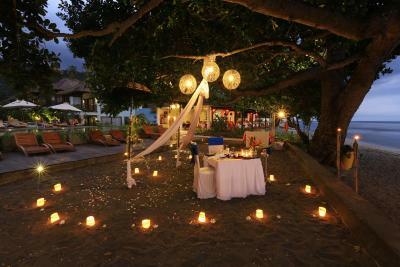 Staff was very friendly, we had a little cake for our honeymoon and free massage that was very nice. the buffet breakfast was perfect, so much choice. Afternoon tea at the pool was so nice. Super peaceful and beautiful. 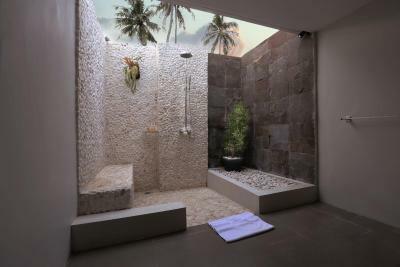 Perfect place to stay and rejuvenate. 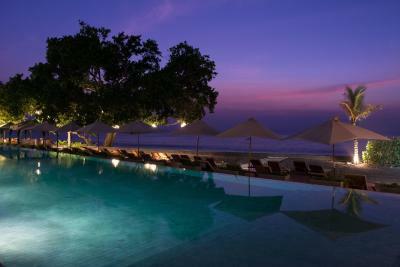 Everything was clean, classy and beautiful, and literally right on the beach = beautiful morning and evening walks. The staff was incredibly friendly and helpful. 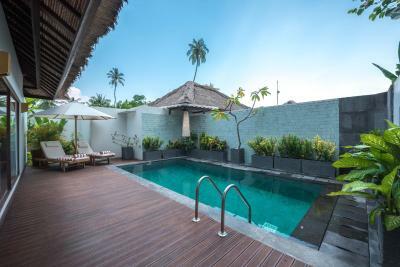 One of our top picks in Senggigi .Featuring a direct access to the pristine Stangi Beach, Living Asia Resort and Spa offers modern bungalows with sea views. 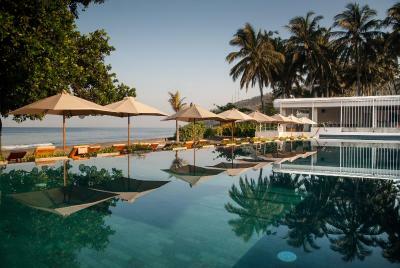 It also has a restaurant, beach bar and an infinity pool. Diving trips can be arranged at the on-site dive shop. Free Wi-Fi and free parking are provided. 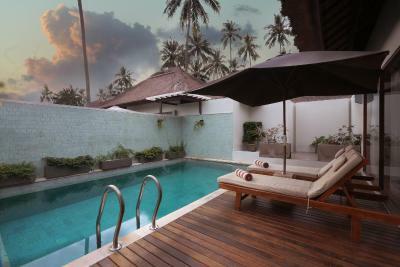 Living Asia Resort and Spa is a 15-minute drive from Senggigi City Centre, which houses an art market. 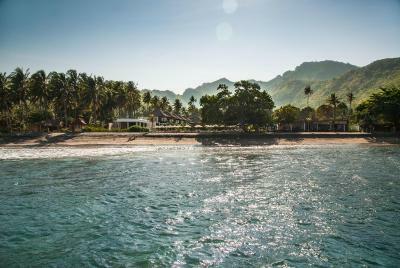 Bangsal Harbour which provides direct access to Gili Islands, is a 30-minute drive away. 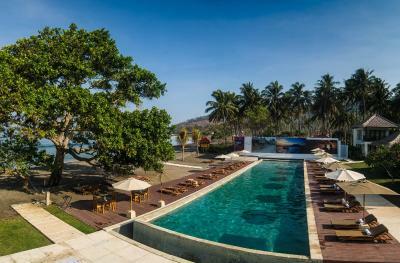 The resort is an hour’s drive from Lombok International Airport. 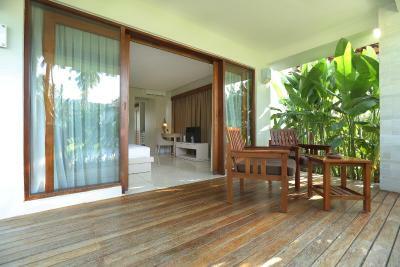 Each air-conditioned bungalow has a private balcony. 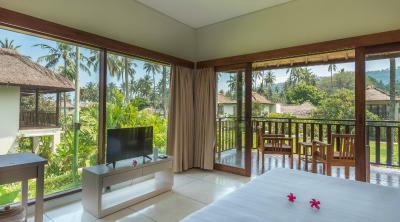 A flat-screen satellite TV, minibar and a refrigerator are provided. 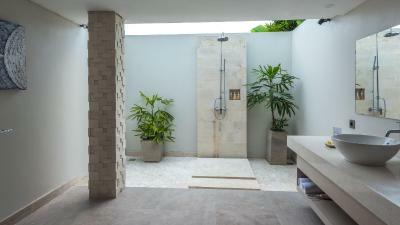 En suite bathrooms feature an outdoor shower. 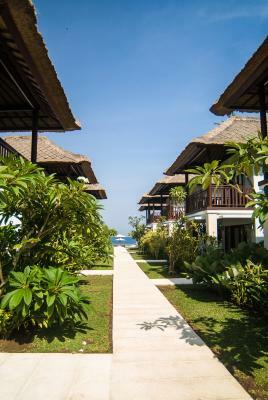 Guests can relax with a massage or sun tan by the beach. Airport shuttle service is provided at a charge. Laundry services are available. 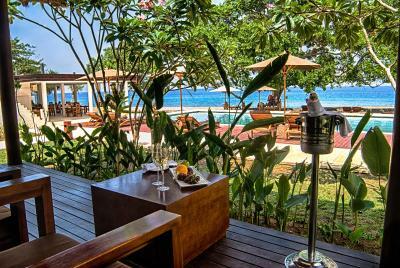 A selection of Indonesian, Asian and Western dishes are served in the beachfront restaurant, which also offers room service. 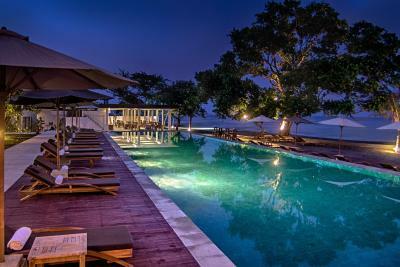 The beach bar serves a range of cocktails and snacks. 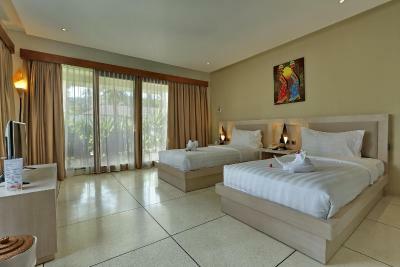 Living Asia Resort and Spa has been welcoming Booking.com guests since 12 Jun 2012. 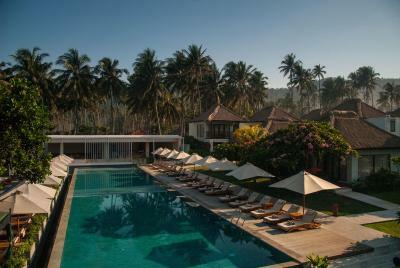 When would you like to stay at Living Asia Resort and Spa? 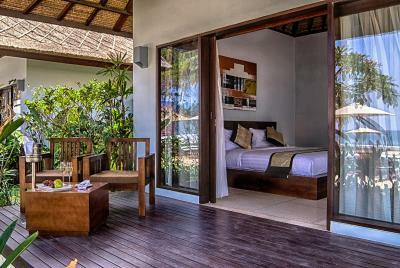 Room features a private balcony or terrace with garden views. 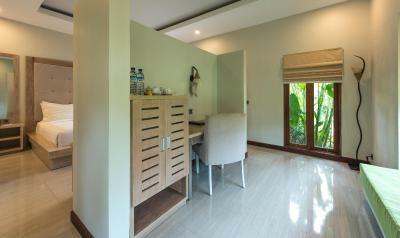 Fitted with a flat-screen satellite TV, minibar and a minimalist-style semi open bathroom with a shower. 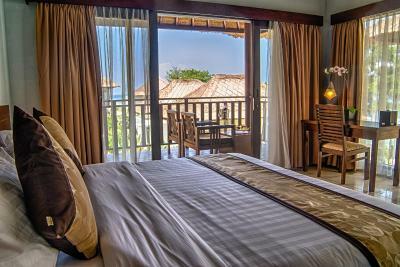 Room features a private balcony or terrace with ocean views. 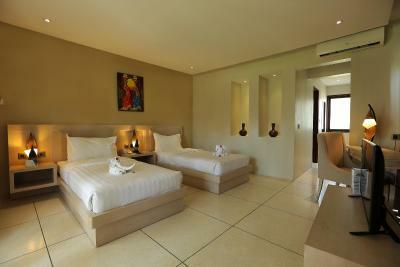 Fitted with a flat-screen satellite TV, minibar and a minimalist-style semi open bathroom with a shower. 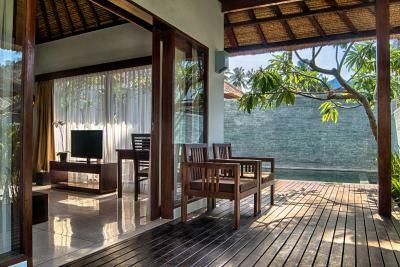 Room features a private terrace overlooking the pool and ocean. 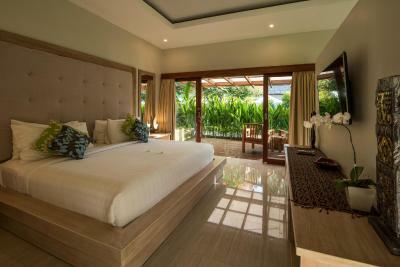 It is fitted with a flat-screen satellite TV, minibar and a minimalist-style semi open bathroom with a shower. 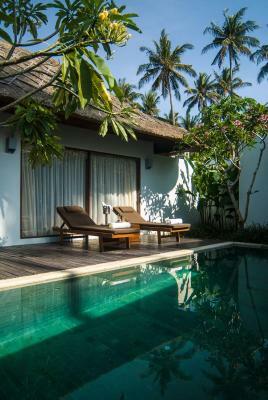 Private villa features a private pool. 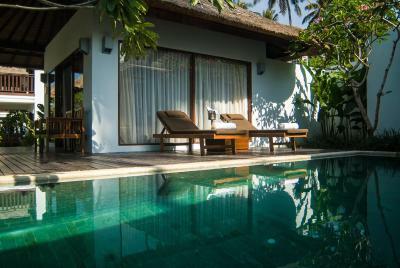 Fitted with a flat-screen satellite TV, minibar and an en suite bathroom with a shower. 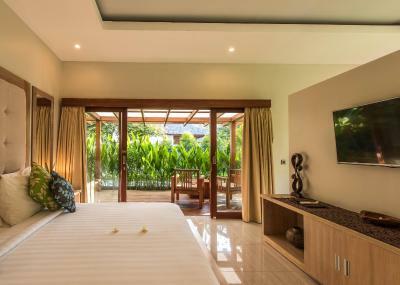 Offering views of the lush tropical garden, this air-conditioned twin room is fitted with minimalist furniture, flat-screen cable TV, seating area, and an en suite bathroom featuring shower, hairdryer and slippers. 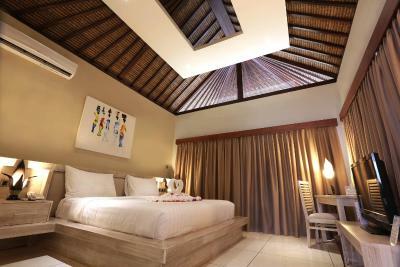 Offering a partial view of the sparkling ocean and lush tropical garden from its balcony, this air-conditioned double room is fitted with a wardrobe, seating area, flat-screen satellite TV, and an en suite bathroom featuring shower, hairdryer, and slippers. 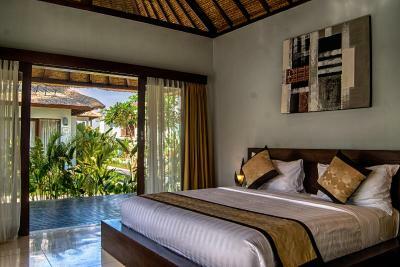 This suite has air conditioning, minibar and satellite TV. 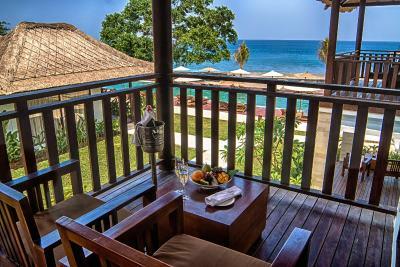 House rules Living Asia Resort and Spa takes special requests - add in the next step! 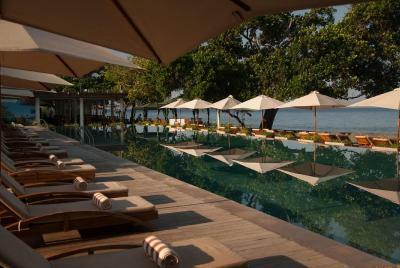 Living Asia Resort and Spa accepts these cards and reserves the right to temporarily hold an amount prior to arrival. Clean and quiet and the staff were friendly. Bar staff did not entertain the drinks offer that was explained to us by reception and also written on the welcome letter in the room. 2 out of 3 times the shuttle to Sengigi was not available. However a taxi is 25,000 IDR, so no big deal. We didn’t receive any welcome drink by arrival, air condition leaked, the room and pool didn’t feel clean. It’s a beautiful place but not well kept. 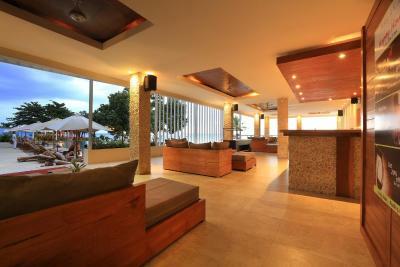 The staff really try to do their best, and are really helpful and friendly. In the room there is an information sheet that states they have yoga every Tuesday, this is in fact not true. I wanted to book a treatment at the spa but no one was there so I couldn’t book. Ants in the rooms could be dealt with better but honestly, it was an incredible experience all around!!! Beach is beautiful and can capture the most beautiful sunsets but not swimmable as too much of an undertow. The service is good there, and the breakfast is super good. 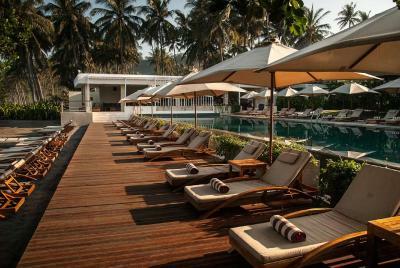 Less people, so we can chill out at pool the whole day with great sunshine. Very cool place anyhow. There was no possibily to hire a motorbike. 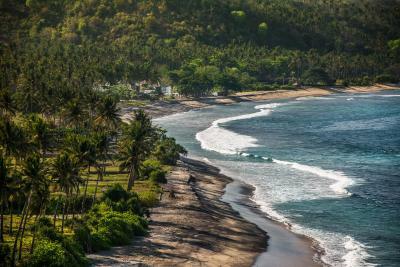 Therefore you have to go to Senggigi. The beach in front could be cleaned.